Toronto protest in support of Aleppo. Left: Canadian PM Trudeau participating in prayers in a Surrey, British Columbia mosque. Credit: LifeSiteNews. Canadian Sunni Islamists pose a special threat to Canada, according to a leaked Canadian Security Intelligence Service report. “The Service has never before faced a terrorist threat of the scope, scale and complexity of Sunni Islamist-inspired terrorism,” noted the 2016 document. Justin Trudeau, Canada’s Prime Minister, has an eight-year record of unwavering support for the extremist Islamist cause in Canada. This can be seen since his election as a Member of Parliament in 2008 and his ascension to Prime Minister in 2015. Events have included visits to a mosque which was publicly identified by the Pentagon as a major recruiting center for al- Qaeda and another mosque which had an Imam who belongs to an internationally listed terrorist entity. The history of cross-border relations between Canada and the United States has been largely positive. But four Islamist inspired terrorist attacks against America have been attempted by Canadians in recent years. Among these efforts have been Abu Mezer in 1997, Ahmed Ressam in 1999, Chiheb Esseghaier in 2013 and Abdulrahman El Bahnasawy, convicted of an attempted attack in New York City in 2016. Understanding the degree to which extremist Islamist movements have infiltrated Canada is difficult to assess. Dr. Lorenzo Vidino, an expert on Islamism in Europe and North America, at George Washington University testified to the Canadian Senate in May 2015, on aspects of this issue. In his lengthy appearance he stated that the Muslim Brotherhood alone had some eight to ten major front groups in Canada. 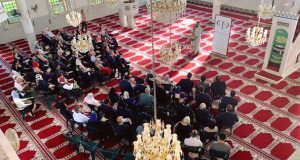 Among those he noted were the National Council of Canadian Muslims NCCM (formerly CAIR CAN), the Muslim Association of Canada, Islamic Relief Canada and the International Relief Fund for the Afflicted and Needy (IRFAN). The Government of Canada has listed IRFAN as a terrorist entity as it did millions of dollars of fund raising for Hamas. The Covenant of Hamas states that Hamas is the Muslim Brotherhood in the Palestinian Territories. It should also be noted that the parent organization of the National Council of Canadian Muslims is CAIR USA, itself listed as a terrorist entity in the United Arab Emirates. Another indicator of the depth of the Islamists in Canada is the number of Canadians who left to fight with groups such as ISIS in the Middle East. The Soufan Center believes that 180 Canadians went overseas to fight for “terrorist groups” in Iraq and Syria while only 129 Americans did the same. Even with ten times the population, the USA still sent less fighters in total than Canada. Needless to say, all numbers of how many fighters went to, and returned from, such conflicts are soft given the clandestine nature of the individuals involved. But this is a worrying indicator. And Trudeau’s public statements on Islamist issues are even more worrying. In the House of Commons, he stated that the views of those who oppose the return of ISIS fighters to Canada are Islamophobic. Trudeau has argued in public that returning ISIS fighters will be a powerful voice for deradicalization in Canada. The Prime Minister’s position on deradicalizing ISIS fighters also does not appear reasonable; the Canadian Government’s Centre for Community Engagement and deradicalization is not functioning. It has no leader and no de-radicalization active centre inside or outside of government. It is not known if plans exist for such an organization, although four million dollars was allocated to prevent radicalization in Alberta. The discussion around how to deal with returning ISIS fighters reveals an another unclear position on the position of the government. Few, if any, returning ISIS fighters have faced any consequences to date, even though low end estimates suggest that 60 have returned. The Government publically claim that only 60 ISIS fighters have returned has not changed since 2015. This makes no sense since the ISIS have been severely defeated in Iraq and Syria in 2017. Even more disturbing is the fact that the Government is no longer adding the names of returning ISIS fighters to the UN committee responsible for the listing of international jihadists. Thus, these ISIS fighters are free to travel, organize and plan attacks in Canada and elsewhere. And Trudeau is not alone. 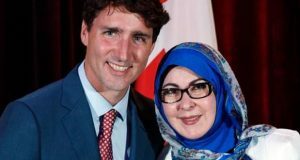 Supporters of political Islam have made substantial inroads into the Canadian government, including junior cabinet positions and Members of Parliament. Among them are Syrian -Saudi born, Omar Alghabra, a known Islamic Law supporter, who upon his first successful bid to represent Mississauga—Erindale in parliament, declared, “This is a victory for Islam! Islam won! Islam Won! … Islamic power is extending into Canadian politics.” He is member of the Liberal Party, and the Parliamentary Secretary to the Minister of Foreign Affairs (i.e. junior foreign minister), specializing in consular affairs. Iqra Khalid, another Member the Liberal party in the Canadian Parliament, is the primary sponsor of the Parliamentary Motion (M103) which may ultimately lead to Canada having an anti-Islamophobia law. This law would crush the already limited free speech rights in Canada, and make any real or imagined criticism of Islam, even extremists and Islamist terrorist impossible. 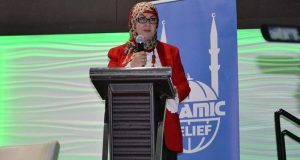 MP Khalid has closely associated herself with the Canadian chapter of the Islamic Society of North America (ISNA)., even after the Canadian Revenue Agency revoked the charitable status of the ISNA (Development Fund), because it was funding terrorism. The growing influence of the Islamist front groups’ promotion of Political Islam in Canada, and the number of returning fighters from ISIS pose a serious threat of a terrorist attack at home and in the U.S.
An atmosphere of trade protectionism and a focus on national security issues already permeates Washington DC. A Canadian based attack may result in short term extreme measures such as border closures and longer term calls for enhanced screening measures. 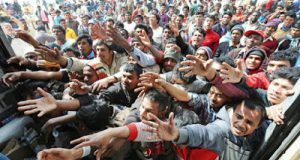 As a preventive step to this problem, US officials may begin enhanced border screening measures. This should not be just for potential “terrorists,” but rather a focus on those who create the social, cultural and political spaces where Islamist extremism grows. 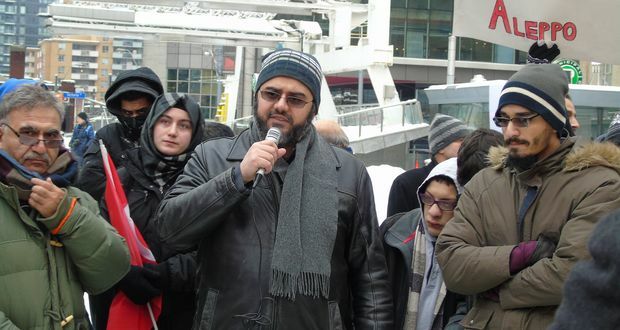 Many Islamist front groups are known to operate in Canada which have a partner organization in the U.S. NCCM/CAIR CAN is the Canadian Chapter of CAIR USA. Islamic Relief Canada and Islamic Relief USA are both part of Islamic Relief International. ISNA Canada and ISNA USA are partner agencies, despite their pretence to distance themselves. CAIR USA has already been listed as a terrorist entity by the United Arab Emirates. Islamic Relief International has been likewise listed while both Islamic Relief Canada and Islamic Relief USA have terrorism funding brushes. ISNA Canada has been involved with three different charities that lost their status for terrorism funding. ISNA USA was an unindicted co-conspirator in a major terrorism funding trial and has been connected to CAIR USA and Hamas through funding issues. Tracking and blocking the money flows for these organizations while restricting travel privileges would damage the Islamist extremist cause in both countries and reduce terrorism funding opportunities. One strategic objective of the American government is the keep the US-Canadian border “thin.” This is to say a border which allows for the rapid transit of goods, services and personnel. This may soon be challenged as the Islamist cause grows in Canada. Tom Quiggin is a former military intelligence officer, a former intelligence contractor for the Royal Canadian Mounted Police and a court appointed expert on jihadist terrorism in both the Federal and criminal courts of Canada. Much of the material for this article comes from the recently published book, “SUBMISSION: The Danger of Political Islam to Canada – With a Warning to America“, written with co-authors Tahir Gora, Saied Shoaaib, Jonathon Cotler, and Rick Gill with a foreword by Raheel Raza.